How bone broth keeps us looking young? I was on the plane, sitting next to a Malaysian who just graduated from university and Australian lady who in her sixties is already a great-grandmother. As we spoke about myriad of things, our situations naturally reveal our age. Genes definitely play a big role, but diet could be a major factor too; the girl could be right about the soup. ‘Bone broth’ – quintessential of Chinese cuisine – is recently touted in the western countries as the new anti-aging superfood. Do you know the New York Fashion week served bone broth and some replace their morning coffee with a cup of broth? Until a few years ago, I have never been so fascinated by what I drink everyday. So I started reading more about the history and science behind bone broth. Q: How does bone broth keeps us looking young? Young and healthy skin has abundance of collagen fibres and vascular tissues. As we grow older, these fibres and tissues start to reduce in quantity. To maintain youthful skin it’s very important to maintain high level of fibres and tissues. 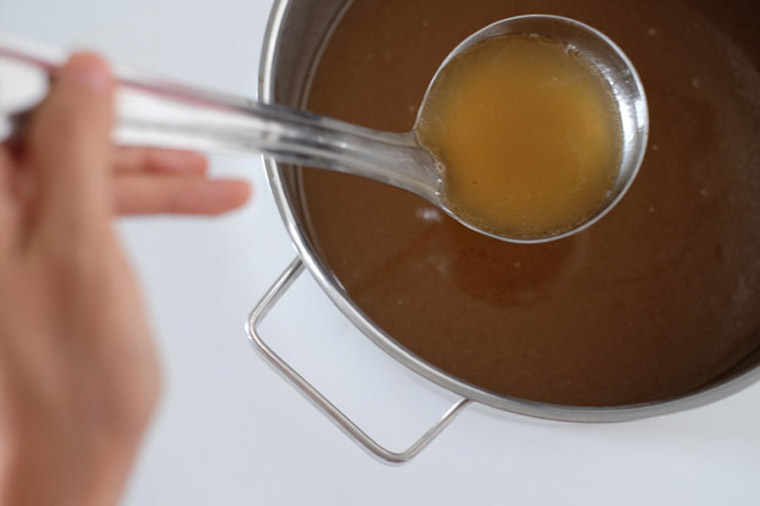 ‘Broth feeds the epidermis, dermis, and underlying connective tissue layers of the skin from the inside out with the collagen, elastin and other nutrients it needs to plump out skin (source: Nourishing Broth, Sally Fallon Morell and Kaayla T. Daniel). In short, there’s not much difference. Stock isn’t meant to be eaten on its own, whereas broth is ‘seasoned stock’, which is eaten as soup. It’s just a term that can be used interchangeably. However, the stock that we talk about is cooked in such as way that it is rich in collagen. 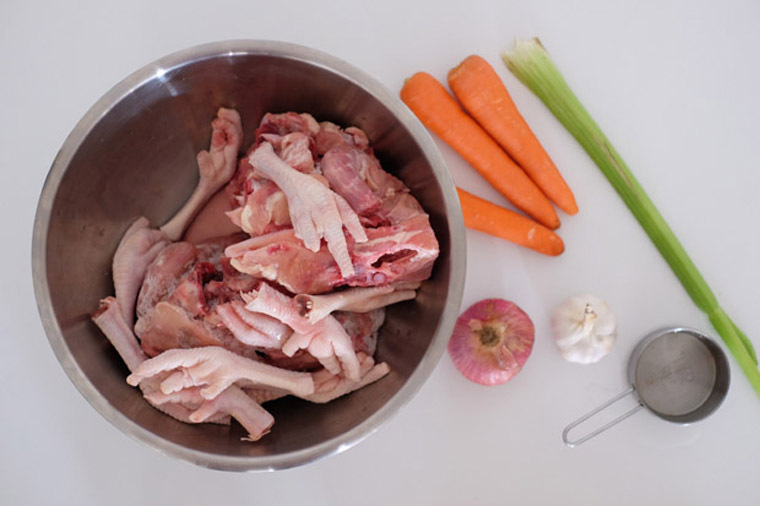 How to make collagen-rich bone broth? The basic idea is to boil animal bones (e.g chicken) long enough that it sets up as solid gel if you put in the fridge. That is the mark of a collagen-rich broth. You need to use the right bones – those with a lot of cartilage. For chicken, do include the backs, wings, necks and feet. How to include more bone broth in your diet? Get into the habit of making your own broth often. I suggest against counting on getting good quality broth from regular restaurants. 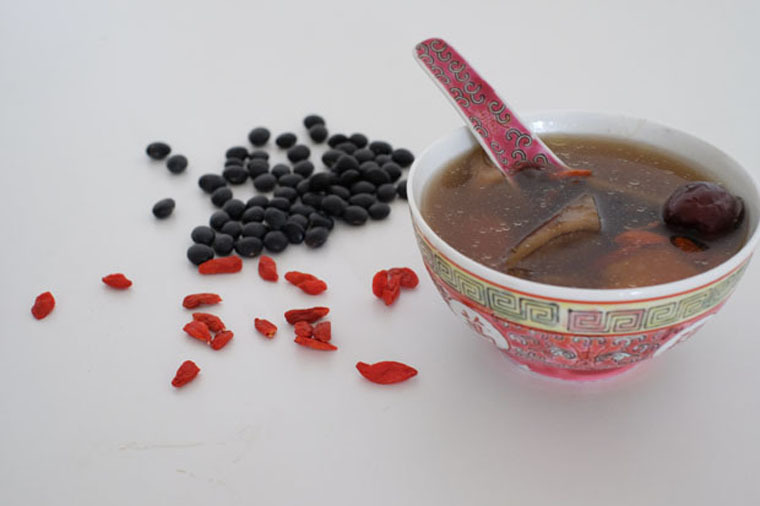 The broth is normally diluted and heavily flavoured with MSG. After getting into kitchens of many five star restaurants, I realise that even when you pay a huge amount of money, you may still not get the kind of bone broth that gels. I personally try to have a bowl of bone broth a day (though it doesn’t always happens). If you’re unwell, perhaps more bone broth may be good. Looking young is only one of the many benefits of bone broth. Collagen help bone strength and the minerals nourished our body. Don’t make it only for beauty, do it for your body. You deserve it!